Corner of W Mason & 13th Ave, SW corner. 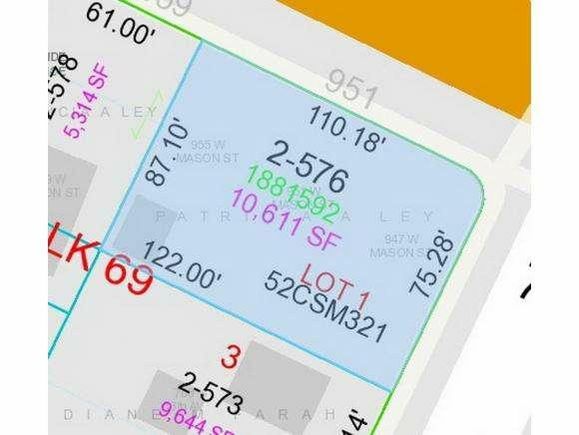 The details on 955 W MASON STREET: This land located in Marquette Park, Green Bay, WI 54303 is currently for sale for $29,900. 955 W MASON STREET is a – square foot land with – beds and – baths that has been on Estately for 976 days. 955 W MASON STREET is in the Marquette Park neighborhood of Green Bay and has a WalkScore® of 59, making it somewhat walkable. This land is in the attendance area of Tank Elementary School, West High School, Franklin Middle School, and Aldo Leopold Community School K 8.